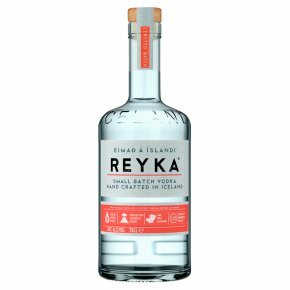 Reyka is distilled and handcrafted in small batches of 890 litres in traditional copper stills and filtered through lava rock, giving the vodka its intense purity and character. While this mixes superbly in cocktails, it's also delicious sipped neat to appreciate its smoothness and elegance. Hand crafted in Borgarnes, Iceland. Traditionally distilled & filtered through ancient arctic lava rocks using arctic spring water, the purest in the world.